Our research shows outdoor maintenance is the most uncompleted job around the home, with around one-fifth of home owners neglecting year-round jobs like tidying unruly backyards, fixing damaged fencing, cleaning gutters and spraying weeds. With summer just around the corner bringing fire and storm risk – and NSW already experiencing the full effect of a wild weather event – this week we’d like to give you five tips to prepare your home ready for summer and all that it brings. 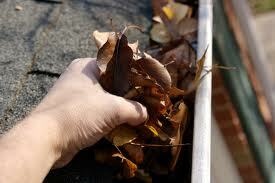 Clear dry leaves and debris from gutters, and install metal leaf guards if you’re in an area at high risk of bushfire. Gutters blocked by debris can also cause overflowing water to run down the inside of your walls, causing serious damage. It’s the simplest thing to do, but people often neglect it. Keep your lawn short and remove any build-up of materials like dry leaves or dead branches that are flammable or can cause damage to your home in strong winds. Keep timber, woodpiles and any flammable materials such as petrol away from the house, covered and secure. Also ensure damaged structures such as fencing are fixed and secure. If a storm is approaching, ensure all outdoor settings such as table and chairs, clothes line and pot plants are all secure. 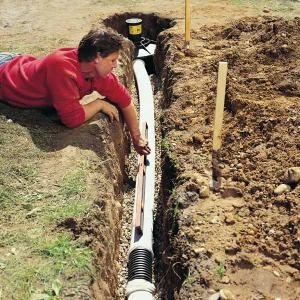 If your backyard is prone to flooding in heavy rainfall, you may need to build water trenches or install a long term drainage solution. These options prevent flash flooding and soil erosion. Speak with your local ‘Hubby’ about the best approach for your backyard. For those in areas at risk of fires, consider your nearest water access point and ensure you have a long enough hose to reach all sides of your house. It’s better to be safe than sorry! If you don’t have the time or skills to prepare your home for the summer season, give your local Hire A Hubby a call on 1800 803 339 or visit the website www.hireahubby.com.au. October is National Safe Work Australia month and it’s all about eliminating hazards and preventing injuries that stem from unsafe practices in the workplace. This year’s theme is: Safety is a frame of mind. Get the picture. Figures from the National Injury Surveillance Unit show 25,000 Australians are hospitalised due to DIY-related injuring including ladder falls, nail gun injuries, and accidents from lawn mowers and power tools. We’re all about safety at Hire A Hubby, so here are a few things you can do to make sure ‘do-it-yourself’ doesn’t become ‘damage-yourself’. 1. Always wear protective gear. Always consider the personal protective equipment (PPE) you wear when DIYing. The list below shows some staple pieces in every DIY arsenal and what they’re used for. 2. Be careful with power tools. Accidents happen even to seasoned DIYers. Always take precaution when using electrical equipment and make sure there are no safety faults. Don’t take on jobs that are out of your league. The worst way to finish a DIY project is with an injury. Also, paying a professional to fix a botched project is more expensive that engaging one from the start. 4. Bring in the pros. State-of-the-art tools can be bought at any hardware store but you can’t buy experience. Use professionals when expertise is required. For more information or advice about your home DIY project, give your local Hire A Hubby a call on 1800 803 339 or visit the website www.hireahubby.com.au. Is the furniture on your patio or deck looking a little old? After being exposed to the elements throughout the year, it’s easy to see why outdoor furniture can start to look at a little worse for wear. The good news is it only takes a little bit of elbow grease – and maybe other oils and paints – to restore its rustic charm, so this week we thought we’d give you a step-by-step guide on how to spring your outdoor wooden furniture back to life. Outdoor furniture has an uncanny knack of gathering dust, dirt, leaves and cobwebs, so the first step is to give it a good clean before you get to work on restoring it. Use a brush or broom to give it a good scrub, and then give it a good hose down. 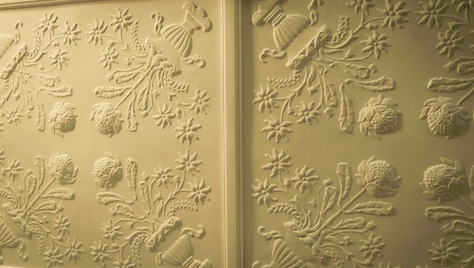 Flaking and peeling paint is a telltale sign of weathered furniture. It also seals in moisture causing the wood to rot. The next step in restoring timber furniture is stripping it down to its natural wood. The next step involved removing rough surfaces by sanding down the piece, going with the grain of the wood. The effort put into this stage affects the overall result and it will be made easier if a good job has been done with the stripping. The furniture may now look like it’s been robbed of all colour but a stain will quickly remedy this. Apply the stain with a rag or a brush and leave time for it to penetrate through the wood (the longer it is left on, the darker it will be). Wipe off any excess stain with a clean rag and allow it to dry. Finishes are the final protective layer for your furniture piece. There are plenty of options to choose from with different application methods but varnishes are generally popular because of its durability and high-gloss shine. Whichever you choose, follow the instructions on the packaging to finish with a flourish. For more information on working with wood, give your local Hire A Hubby a call on 1800 803 339 or visit the website www.hireahubby.com.au. Has mould, grime, grease or algae built up around your home during the cooler months? Driveways, eaves, windows, patios and decks are hot property for winter gunk, and it only becomes more noticeable as the weather improves. Unlike in years past when a hose and scrubbing brush meant cleaning the home exterior was a multiple-weekend job, pressure cleaning makes removing exterior gunk relatively simple – and you guessed it, spring is the perfect time to do it. 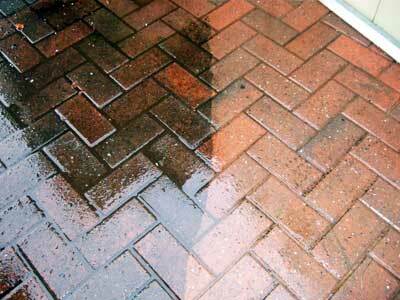 High pressure cleaning combines air and water and sometimes cleaning chemicals to quickly blast surfaces clean. It’s an effective way to clean large surface areas without using excessive water and cleaning agents and through periodic cleaning you can prevent long-term depreciation to your home. Ensure you’re using the right machine with the right pressure output for the surface you’re cleaning. For example, washing the outside of your house only requires low pressure cleaning as it’s less abrasive and won’t remove paint. Likewise, timber decks can be damaged if the pressure is too high. Always wear protective equipment for property maintenance. When using any pressure cleaner – low or high – goggles and enclosed footwear should be worn and the nozzle should never be directed at any part of the body. Know your limits and consult a professional if the job is beyond your skill level. High pressure cleaning for heavy duty tasks such as cleaning concrete, the driveway or roofs should really be left to the experts. Professionals consider different attachments, pressure settings, the use of hot or cold water, and whether or not chemicals should be used. A relevant sealer such as paint or decking oil will prevent the need for regular cleaning and make cleaning next time much easier. 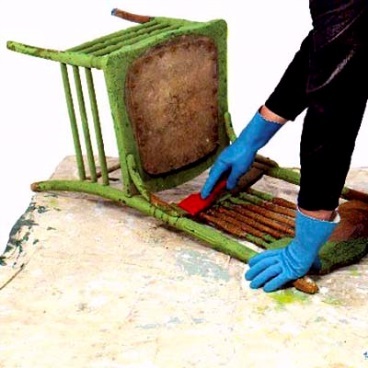 However, ensure the surface has dried before application. For more information on pressure cleaning an area around your home, visit www.hireahubby.com.au or call your local ‘Hubby’ on 1800 803 339. For those of you who watched the third room reveal on Channel 7’s The Block on Sunday night, you would have seen the contestants bringing their bathrooms to life with granite walls, luxurious marble bath tubs and even a urinal. The team that came out on top was husband and wife team Josh and Jenna with their crisp and clean bathroom that had a delightful mix of modern and old (below). We believe another reason why they won extended beyond the design. It was their clear communication with suppliers and builders. This can make or break a successful renovation, saving time, money and organisational nightmares. Here are a few tips from our Hubbies on how to improve your communication with the professionals to get exactly what you want when it comes to doing work in your bathroom. Bathrooms are one of the most important parts of the home. Whether the job is big or small, give your builder or property maintenance expert an idea of your budget to see if what you want is realistically achievable. Discuss with your builder when you want the bathroom finished and organise suppliers to work around this time frame. To avoid late supply deliveries, get together with your builder and break the renovation up into sections. Organise what date you need certain materials by and make the date a couple of days before you actually need it, to ensure they arrive on time. Discuss with your builder on what type of bathroom you are after, as this will affect your choice of fixtures, fittings and tiles. Is this a family room that will require hard working, low maintenance fixtures that can withstand wear and tear, or is it a sleeker architectural look you are after, make sure to express this to your builder. It’s tempting to step in but usually it’s a good idea to steer clear when it comes to having a professional work on your renovation. If you have any concerns about the renovation, have a chat to your builder and they will be happy to clarify. The Block is back again with our favourite contestants from previous shows, the All Stars, fighting it out for the holy grail of reality TV renovation. As Hire A Hubby’s ambassador and show host Scott Cam takes the courageous couples on a ride through renders and refurbs, fixing and fixating on in-home designs, we’ll be there every step of the way talking tips and tactics to help you guys at home. As always, the budding builders will each be renovating a heritage listed property. Despite being a dream for many Aussies, restoring and maintaining a heritage home can be a headache with many speed bumps and stop signs along the way. This week, Hire A Hubby is offering some simple do’s and don’ts when it comes to doing up heritage homes, but you’ll find the tips handy for most projects! Research and understand the property before you start. What was the original style of the home? 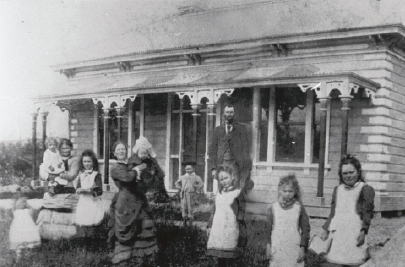 A good place to start is finding an original photo of the house to get an idea of what it once looked like. Call your local Hubby to find out what you might be able to do with the space. Decorative high ceilings, fireplaces and timber joinery are an integral part of the value of many old homes. Bring these spaces to life, don’t remove them. Honour the battle scars of the aged property and remove the things that don’t add to the overall architectural style. 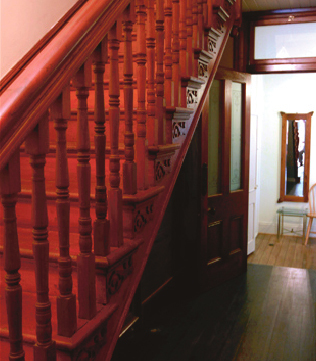 Patina of age is ‘in vogue’ and is valuable, so preserve worn steps or old floorboards. Things like replacing timber-edged windows with aluminium, which may appear more ‘modern’, mightn’t necessarily add value to the home in the long run.Consider restoring over removing. For any ideas, expert advice or an obligation free quote, call your local Hire A Hubby on 1800 803 339 or visit the website www.hireahubby.com.au. The Block airs on Channel 9 at 7 O’Block. Watch this space each week for our Hubbies’ take on the show.